The Basketball legend LeBron James will be spending the next four years playing basketball on the West Coast. James signed a four-year, $153.3 million contract with the Los Angeles Lakers to try to bring the team another championship. James' agency Klutch Sports Group announced the $154 million deal Sunday. Brian Windhorst of ESPN reported that the fourth year is a player option and represents the longest deal James has signed since his six-year deal with the Miami Heat in 2010. James will be leaving his hometown team as a free agent after several years with the Cleveland Cavaliers. The basketball star is a four-time MVP and 14-time All-Star that left a mark on his city which he thanked in an Instagram story. The text overlay for the story said, "Thank you Northeast Ohio for an incredible 4 seasons. This will always be home." James won his first championship while playing for his hometown which also happened to be the city's first championship victory in 52 years. James helped the Cavaliers become the first team in NBA Finals history to rally from a 3-1 series deficit to a victory. The Cavaliers snatched the win from the Golden State Warriors which had the best regular-season record in league history at 73-9. James left the franchise holding the lead in nearly every major statistical category including games played, points, rebounds, assists, and steals. The All-Star played 82 games during 2017-18 for the first time in his 15-year career. James will become the first NBA player in history to lead a postseason in scoring and then switch teams in the offseason. 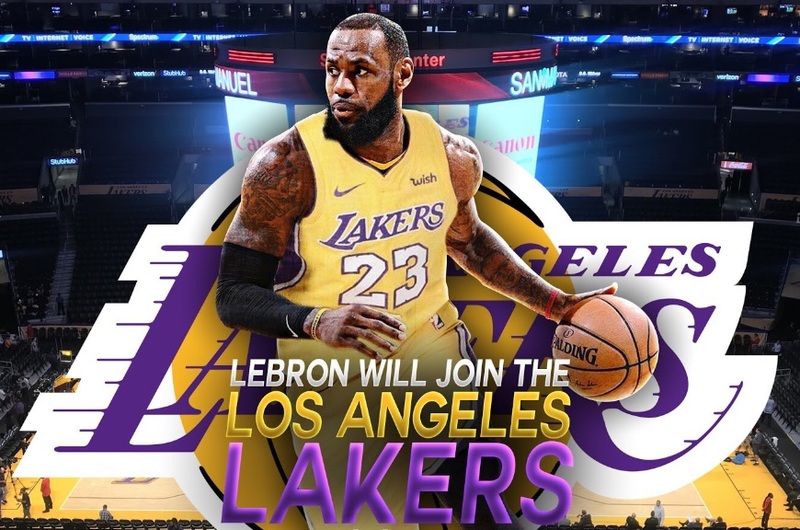 He will fit right in on the Lakers which already boasts a number of NBA legends such as Kobe Bryant and Kareem Abdul-Jabbar.